Trick by Ickle Pickle Products Inc. 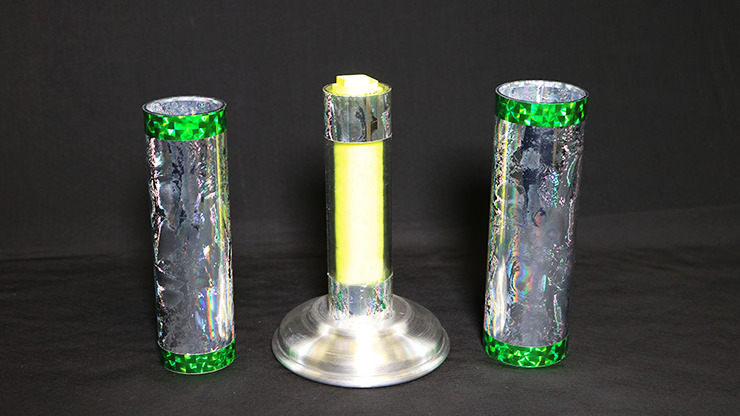 This mini version of the Crystal Silk Cylinder still packs all the great magic in a diminutive package. You show an empty tube and fill it with paper or silks. Then cover it with another tube, and another, yet when the cover tubes are removed, the central tube is now filled with different colored silks, money, whatever you want! Oder today and get leave the audience befuddled with wonder!